course, authorized by the National BSA organization, that runs from Monday morning to Saturday noon, rather than the typical Sunday noon to Friday afternoon. A week-long exciting, action-packed leadership experience conducted by the Utah National Parks Council. 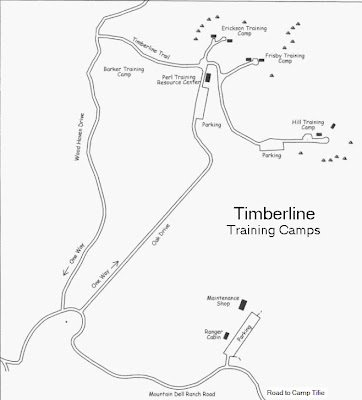 Through a variety of games and activities, scouts who complete the Timberline course return to their troops with a toolbox of leadership skills. Such as vision, communication, goals, planning and team work. Registration Open Now! Click Here! Course# 901-25, Only 42 spots available. Register today!! Scouting is a Boy-led program and this puts the “Boy” more strongly in charge. NYLT is a six-day course during which participants live and work together in an outdoor setting, taking the part of a patrol within a Boy Scout troop. It is run by youth leaders under adult supervision. Participants are organized as a generic scouting unit. They are grouped into troops of no more than eight. A staff member, designated as a Troop Guide, is assigned to each patrol to coach and mentor the daily-assigned Patrol leader. The staff Senior Patrol Leader (SPL) runs course meetings and events, chairs meetings of the Patrol leaders’ meeting, delegates duties to other youth staff, assists the Scout Master (Course Director), models the learning and leadership skills, and recruits participants. Staff Assistant Senior Patrol Leaders (SPL 1 & 2) assist the SPL, oversee audiovisual support, guide the Service Patrol, inspect campsites, and prepare a model campsite. Troop Guides coach each day’s assigned participant Patrol leaders and present selected sessions and activities. Adults perform administrative services and ensure guidelines are met including health and safety. The youth staff must have previously attended NYLT before serving on staff. The NYLT program is conducted in a one week program. NYLT courses are conducted at local council resident camps which provide the necessary facilities for a week-long course. The content learned at any NYLT course is outlined in the national syllabus. Its origins as a program that teaches leadership skills originated on the Presidio of Monterey at the Army Language School in California in 1958. 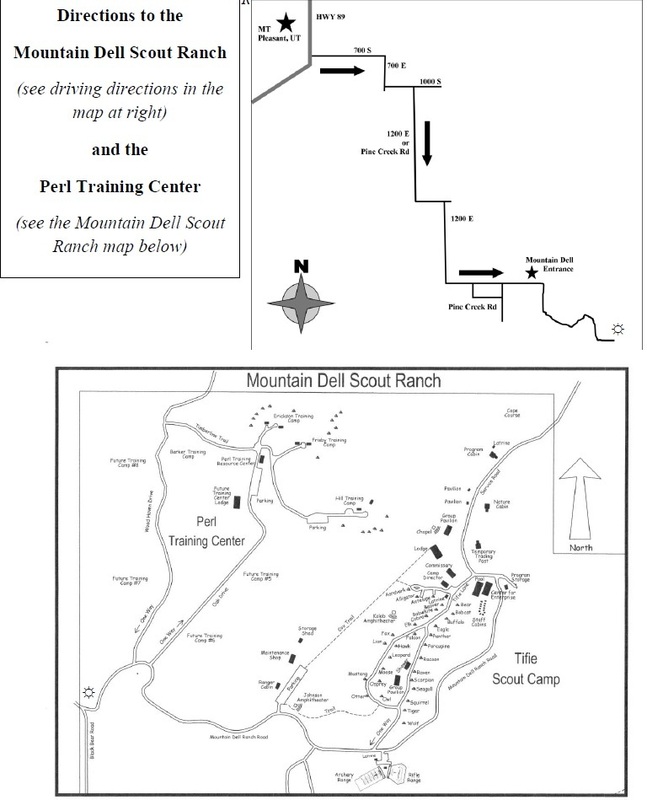 Originally organized as an experimental patrol to teach boys leadership skills at the Monterey Bay Area Council’s Pico Blanco Scout Reservation, it was called the White Stag program. In 1974, BSA published the Troop Leadership Development Staff Guide. Some councils implement small variations in the material taught and may add in other events or special activities and traditions not required in the NYLT outline. The program is designed to mirror the activities of a typical unit over one month, but compressed into a single week. Leadership skills covered include Communicating Well, Finding Your Vision, Developing Your Patrol, and teaching skills described as “EDGE: Explain, Demonstrate, Guide, Enable.” The youth staff is trained in presenting, coaching, and mentoring, enabling them to conduct the program. The NYLT program as designed by the Boy Scouts includes video and other training content available on a DVD. Participants are given handouts containing the information presented on the DVD. The presentations do not rely on the expertise or competence of the youth staff, helping to standardize what is taught in every program. The content allows participants to practice their skills throughout the week to help them learn it in various games and activities. The syllabus uses a sequence for learning that the Boy Scouts previously defined and adapted from the White Stag program as Effective Teaching: learning objectives, discovery, teaching / learning, application and evaluation. The training sequence for each leadership skill utilizes the EDGE process. Each skill is Explained and Demonstrated, then the learner is Guided through its application, finally the learner is Enabled through repeated use of the skills in challenging activities. During the program the participants are taught event planning, communication, Patrol development, teaching, leadership styles, setting goals, problem solving and other leadership skills. The program includes Patrol games and other activities that give participants a chance to apply their new skills. Patrols compete against each other, including a lashing competition and a geocache game. They learn how to create a vision of success, set goals and make plans, listen and solve problems, and teach and lead. They learn about why it is important to put others’ needs first if you want to be an effective leader. They are given opportunities to apply the Scout Oath and Law to make hard decisions and how to remain true to Scouting’s values.